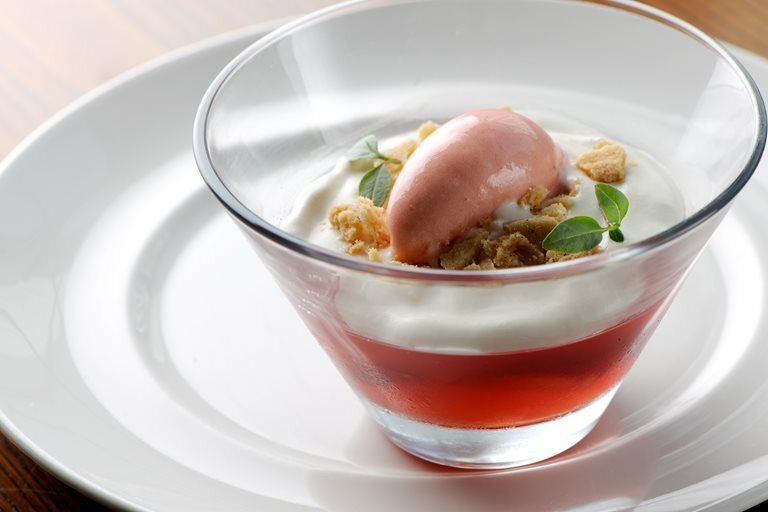 This fancy strawberry jelly recipe from Dominic Chapman involves making a strawberry jelly and partnering it with strawberry sorbet and elderflower cream. The end result more than makes up for the preparation required, especially if you plan well, as the strawberry sorbet can be made a day or two ahead of time. This is a fantastic dessert for summer.